Warm, evocative, sensual... arresting, daring, forward-looking. The music of Ravel and Debussy is all these things and more. 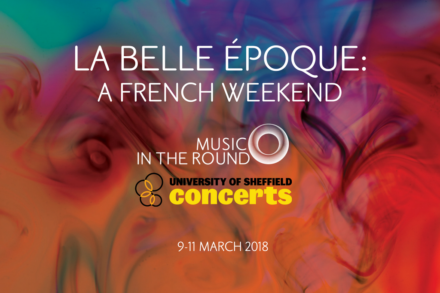 Over one weekend in March, Ensemble 360, Catrin Finch, Simon Lepper and guests present the complete chamber music of these two radical and inspirational composers as part of this Festival of Chamber Music and Song from France's Golden Age, a collaboration between Music in the Round and University of Sheffield Concerts.